Home > Entertainment > $5 off Avengers Movie Tickets! $5 off Avengers Movie Tickets! Want to see a movie this weekend? New users to the Atom Tickets app can get $5 off tickets for any showing of Avengers: Infinity Wars with a new coupon code. Download the Atom Tickets app. 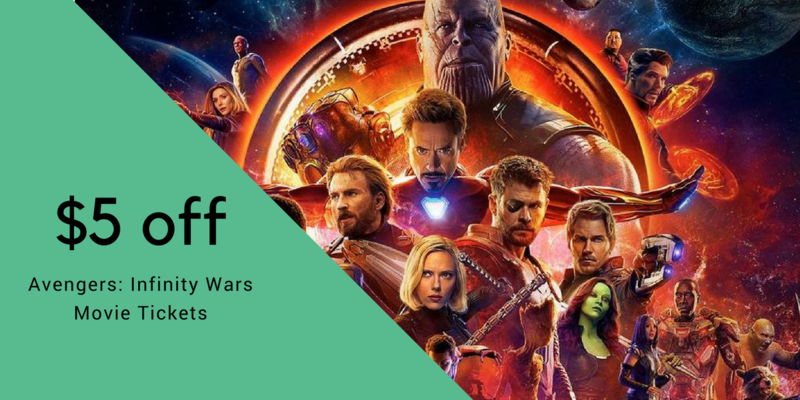 Select the showtime you want for Avengers: Infinity Wars and add at least one movie ticket to your cart. Then use promo code MOVIES to get $5 off! The coupon code will only work in the Atom app, not online. Tip: AMC Stubs members can get any processing fees waived when you enter your AMC member number in your Atom tickets account.